My sons doesn't prefer typical South Indian full meals on daily basis even though they have lunch at home only weekend normally Sunday either I do Puli kulambu, Mor kulambu or one pot meals. 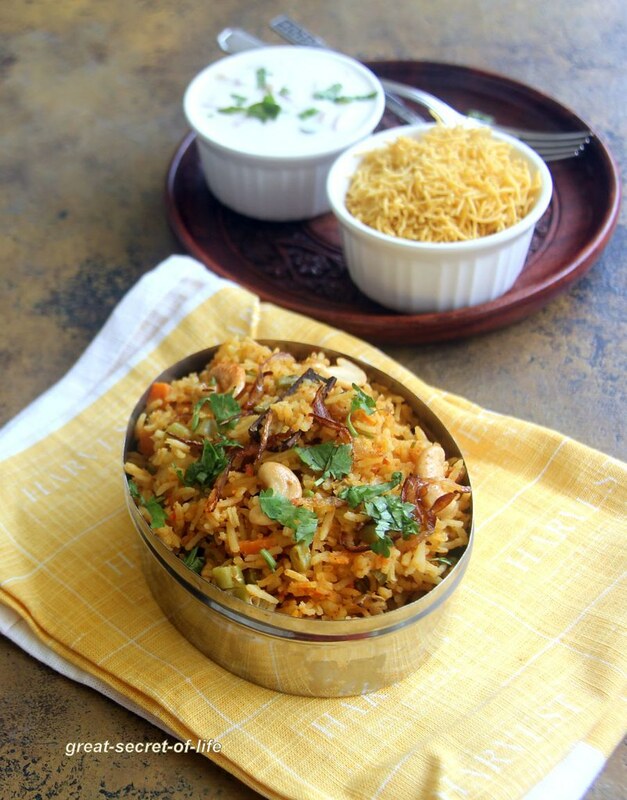 They like mixed vegetable biryani or rices. 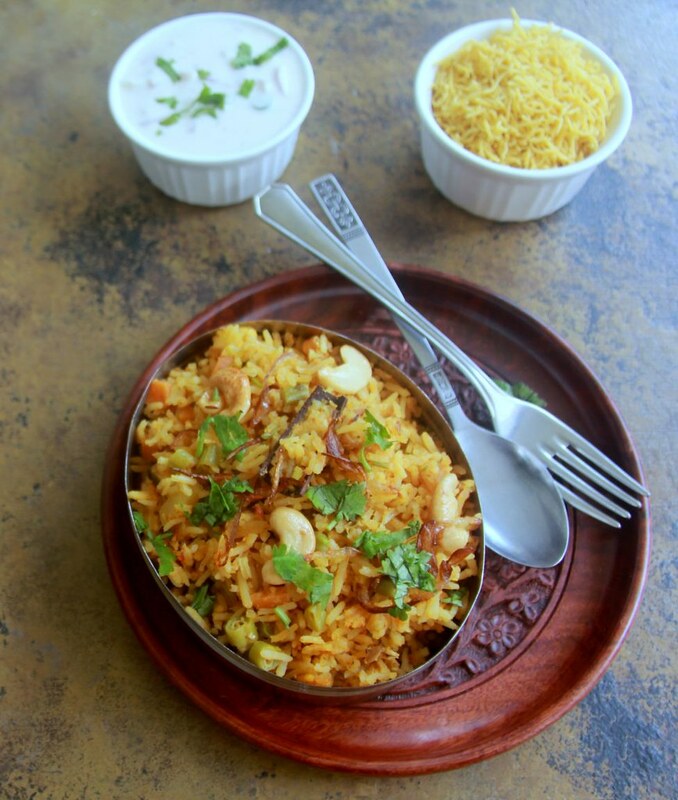 I wanted to try Paneer Vegetable Makhani biryani. It is rich and creamy one pot meal. It tasted great. For sure you won't get disappointed. 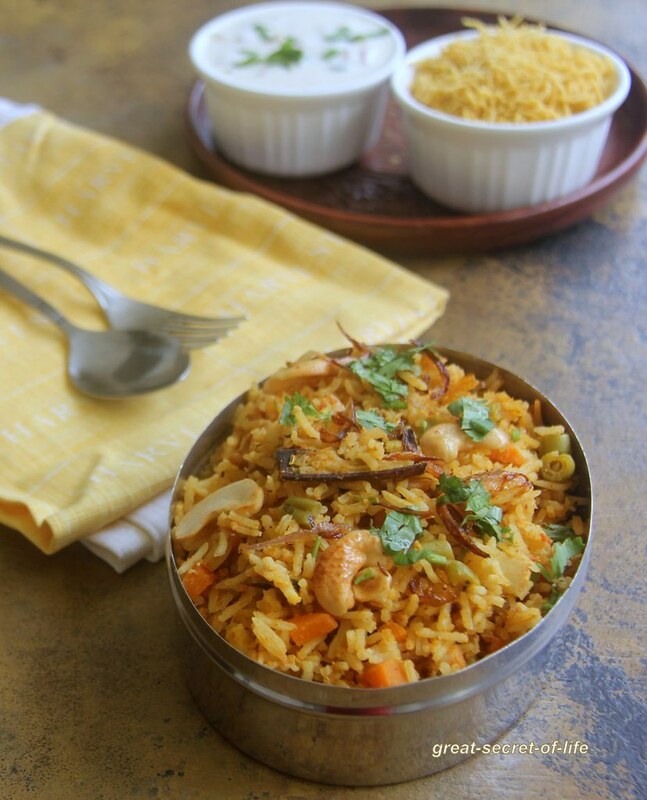 This is similar to Jaipuri vegetable pulav but the way it is cooked is different. My sons told me both are very different.. They like this one more. They finished their plate faster than usual. Wash and soak rise for 15 mins. Drain the water and keep it ready. Soak Almond and poppy seeds in warm water for 30 mins. Grind to smooth paste. Add Mint leaves, Turmeric, Red chilli, Coriander powder and Kitchen king masala. Continue to cook till oil separate from masala. Boil 3 cups of water add all masala under rice section. Add Rice. And cook till 1/2 done. Drain extra water from rice. Keep it aside. Now time to do dum, Alternate layers in a cooking vessel with rice, Fried onion, cashew and Makhani, Cover it with cloth and plate. Keep weight on the top to cook in very low (lowest in your stove) for 10 mins. Be it a simple dish or an elaborate one like yours.. we have to go to great lengths to please our kids.. Your hard work shows.. the dish looks yummy.. no wonder they finished it faster than usual.